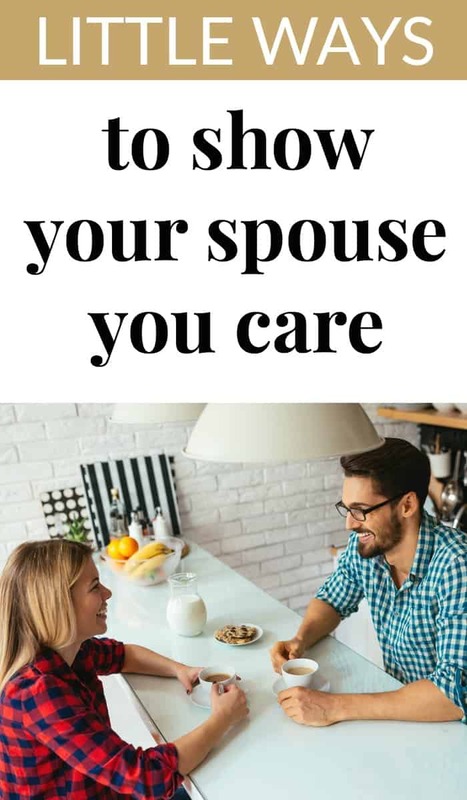 Showing your spouse that you care is an important part of being married. Your spouse needs those small reminders showing them that you care. However, most married couples struggle with this over time. Sometimes you really have to step outside of the box to think of little ways to show your spouse you care. One of the sweetest things you can do for your spouse is to leave a little note. Leave a note for when they wake up in the morning or even in their lunch box. A little note of encouragement goes so far. Imagine if your spouse did this for you. Be the first one to give it a try. Hugs, kisses and rubbing your spouse’s back are all small ways you can show your spouse you care. Physical affection is something some people need more than others. While you may not personally need it, your spouse may. Give it a try and see how it changes your marriage for the better. Communication in marriage is key. Let your spouse know what is going on. Marriages today are suffering because they are not communicating. Help your marriage and show your spouse you care by communicating with them. Tell your spouse something you appreciate about them, even if it’s small. Everyone is busy. Make some time to spend together regularly, even if it is just 10 minutes to enjoy a morning cup of coffee together while you talk. A nagging spouse has a bad rap, but talking in love can help a marriage. While no one wants a nagging husband or wife, it is something that can change over time. Try speaking to your spouse in love instead of in a impatient or frustrated tone. It may take practice to get out of a bad habit, but it’s worth it to try. HOW DO YOU SHOW YOUR SPOUSE YOU CARE? If you are looking for a fun DVD to watch with your spouse, try the LAUGH YOUR WAY TO A BETTER MARRIAGE DVD set! We laughed until we cried! thanks for this awesome post. So many people take their relationships for granted … meanwhile they should remember that having someone else’s feelings in the palm of your hand is a HUGE responsibility! These are sweet. I like to leave little notes. Great post. Thanks for the reminders. The little things expressed consistently are actually pretty big things, huh?